HONG KONG, 21 March 2019 – theDesk, one of the pioneering co-working spaces founded in Hong Kong, today announced the launch of its fifth location and its first outside of Hong Kong – a major milestone in its quest for international expansion. Named “theDesk Bridge 8”, the new 22,000 square feet premises will span three floors in Bridge 8 Shanghai, one of the most successful creative parks in China. The move sees theDesk expanding the reach of its Inclusive Community ethos, which aims to generate real business value for its members and the neighborhood by facilitating meaningful connections, on this brand-new platform. 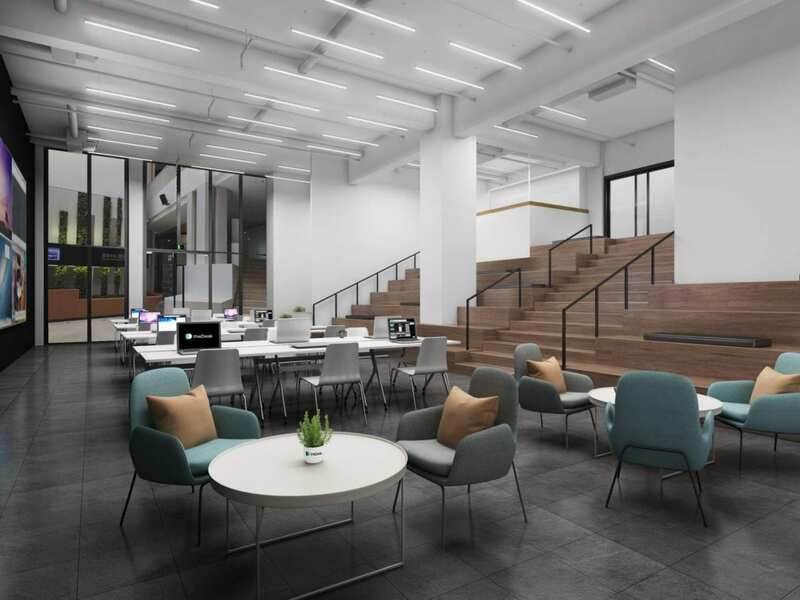 Set to open in May 2019, the new space will echo theDesk’s philosophy of providing a productive and minimalistic work environment for the innovative and diverse business community in Bridge 8 and Shanghai. It offers private offices, dedicated desks, hot desks, and an auditorium that can fit up to 120 people. theDesk will play the pivotal role of connecting its members with neighboring businesses within a melting pot of creative entrepreneurs, SMEs and MNCs, and cultures to discover new opportunities together. Strategically located in the Bridge 8 Creative Cluster, an innovation zone that houses more than 140 renowned creative enterprises and over 3,000 talented creators from the world over, theDesk Bridge 8 is in close proximity to the city’s central business district and neighbors the East meets West cultural and lifestyle areas of Tianzi Fang and the French Concession. This multi-story flexible work and event space will appeal not only to seasoned entrepreneurs but also to local and international businesses in the creative and innovation industries that cherish versatility in their work environment. theDesk is more than a provider of space, but a conducive platform where members, neighbors, landlords and its own staff can fully utilize the offerings of a true sharing economy. With the new Shanghai space, theDesk aims to further expand its Inclusive Community, bring to the market more international companies with fresh perspectives, and strengthen the covalent bond of the community. As a pioneer in Hong Kong’s co-working space scene, theDesk focuses on creating an “inclusive community” by connecting its members and neighboring businesses for closer collaboration in an increasingly shared economy. With the rise of new disruptive businesses and mindset change on how businesses are run, our founding principles of Flexibility, Productivity and Community enable us to find innovative ways to help our members grow and fulfil their ambitions. theDesk believes businesses today can only succeed from cross pollination of ideas and close partnerships. Our team strives to facilitate this collaborative environment by always keeping our members’ needs at the heart of everything we do. Our multiple locations totaling 86,000 square feet* allow us to provide the necessary means for our members to concentrate on their goals and prepare for the future. For more information, please visit www.thedesk.com.hk. *As of 21 March 2019, inclusive of United Centre and Bridge 8 Shanghai locations set to open in Q1 and Q2 2019 respectively.